7 Ziqad Bahr-e-Aam & 8 Ziqad URS, Anondra, Gujrat, India. The Bahr-e-Aam of Hz Bandagi Miyan Shah Nizam RZ is on 7th Ziqad and his Urs is on 8th Ziqad his mousoleum is in Anondra. He is the 4th eminent Khalifa of Imamuna Mehdi Al-Maud AHS. He lived approximately 30 years after the passing away of Imamuna AHS. In 871H (1467 AD): He was born in the ruling family of the Kingdom of Jais, His father Shaikh Khudawand the Allah fearing ruler of Jais is well known in history for his piety, he was a descendant of the famous Sufi Saint Hz Shaikh Fareeduddin Ganj-E-Shakar RA (his mausoleum is in Lahore, Pakistan). Hz Shaikh Fareeduddin Ganj-E-Shakar RA is a descendant of Hz Syedna Umar-e-Farooq RZ, second Caliph of Islam. The infant was named on his Grand father Hz Shah Nizamuddin. It is said, Jais is situated approximately 20 Kms from Rai Bareli, state of Uttar Pradesh in India, today there exist a Railway station with the name of Jais, earlier this Jais use to be a Muslim kingdom ruled by the descendants of the famous Sufi Saint Hz Shaikh Fareeduddin Ganj-E-Shakar RA. Shaikh Khudawand had two sons; the eldest one Hz Bandagi Miyan Shah Nizamuddin RZ was a Hafiz-E-Quran (memorise the Quran) and was not interested in worldly matters. Very soon he succeeded his father and was crowned the ruler of Jais, but he was not made for this worldly kingdom, he was always inclined towards spiritualism and as a result in the year 890H (1486 AD) when he was 17 years old he left the crown and throne, abdicated the Kingdom in favour of his younger brother and he resorted to migration. Whenever or wherever he heard about a Shaikh, a Saint or a pious elderly person, he would go to him with the intention of becoming his disciple [murid]. But after meeting the person he got disappointed and returned empty handed. He went on Haj pilgrimage and travelled in Hijaz (Geological area comprising Makka and Madina) later traveled to Iran, Iraq, and Syria etc in search of a perfect spiritual guide â€œMurshid-E-Kamilâ€. One day he met the Shaikh-ul-Islam; he felt some inclination to become his murid. He told the Shaikh about his desire. The Shaikh told him, â€œO Miyan Nizam! You are so broad minded and magnanimous that none other than the Khatam-e-Vilayat [Seal of Sainthood] can satisfy you. You wait for his zat-e-â€˜aali-darjat [Essence of high ranks]. 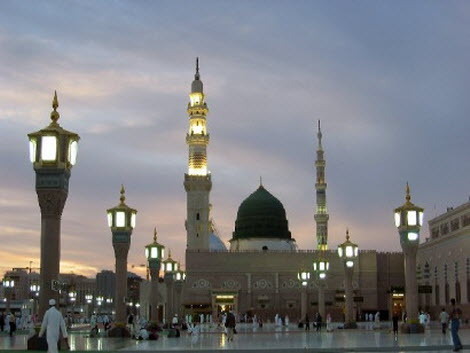 â€Seeing his ernest desire the Shaikh-ul-Islam suggested, Your desire can only be fulfilled by the â€œPromised Mehdi ASâ€ himself and now it is the correct time of his advent, better you travel to Hind (India) the expected place of the advent of Imam Mehdi AS, May Allah give you success in your desireâ€. Finally he came to Gujrat and stayed in Chapaner with one of his friend Salim Khan. Until then Imamuna AS was in migration and visited many places and atlast from Mandogarh he migrated to Chapaner at Gujrath. One day his friend Salim Khan brought him the good news of the visit of a Vali-e-Kamil and brought Hz Shah Nizam RZ in the audience of Imamuna Mehdi AS and as soon as his sight fell on Imamuna AS he immediately came into discipleship and he became the Murid of Imamuna AS. 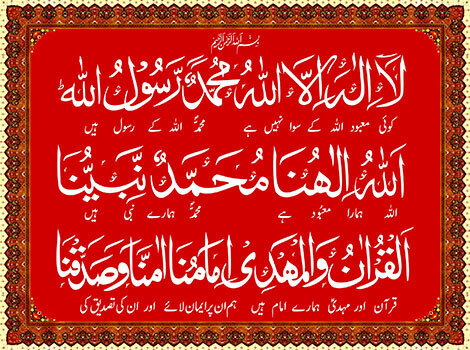 Imamuna AS gave talqin and instructed him in â€œZikr-E-Khafiâ€ [concealed remembrance of Allah]. Hz Shah Nizam RZ lost his consciousness and went in a spriritual trance (Jazba). Then he was carried to the Hujra and was laid to rest, It is said that he was unconscious for 3 days, On the third day Imamuna AS went to his Hujra and greeted him with â€œAssalam Alaikâ€œ then Hz Miyan Shah Nizam RZ woke up from his trance, upon this Imamuna AS said, everything was there in Bhai Nizam, only the wick of his lamp was to be lit by the torch of the Vilayath-e-Muhammadi SAS and this Banda has lit it. From here he also became the Migratory companion of Imamuna AS and under him now he migrated towards the city of Mando in the State of Malwa. In future Hz Bandagi Miyan Shah Nizam RZ went on to become the 4th eminent Khalifa RZ of Imamuna AS. The Imam AS has given a number of Bisharath (glad tidings) to Hz Shah Nizam RZ. 1. He has seen and tasted. 2. Drinker of the Ocean [of Divinity]. 6. Witness to the Vision of Allah through the physical eyes in this world. 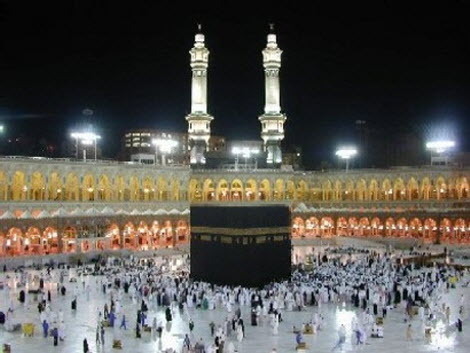 In the year 901H, when Imamuna AS performed his Haj and did his Claim â€œDawaâ€ of being the Promised Mehdi AS, Hz Shah Nizam RZ had the honor and previlege of acceptance at Kabatullah in the precincts of the Holy mosque at Makka Mukarramah. Once due to the noise and commotion of the children disturbing during Zikr-Allah, Hz Shah Nizam RZ approached Imamuna AS and requested him for going in seclusion to perform Zikr-Allah, Imamuna AS said, be there where one can hear about deen from others or can tell about deen to others. It is also recorded that he spent 11 years in the company of Imamuna AS. After the passing away of Imamuna AS, he came under Hz Sani-e-Mehdi RZ and migrated back to India and stayed in Gujrath and later on upon the wish of Hz Sani-e-Mehdi RZ he established his first independent Daira at Radhanpur in Gujrath. Later he started the process of migrations to various places including Ahmedabad, Badli, Patan, Chapaner, Ahmednagar, Devisana and lastly he established his last Daira and abode at Anondra. It is said that he used to carry his footwear in hand while leaving the Jamat Khana because the noise of footwear should not disturb and hamper the brothers involved in Zikr-Allah. It is said that in his Daira there use to be starvation â€˜faqaâ€™ and the brothers of the Daira use to eat leaves of the trees to subside hunger and due to this their bellies use to become swollen and many brothers died due to the pain and hunger in this condition and Hz Shah Nizam Rz gave glad tidings â€œBisharathâ€ regarding these martys. But he never asked any help from his rich mureeds and he use to follow Aaliath at all costs and would see and urge his companions in the Daira to follow Aaliath. It is narrated that, Fateh Khan presented 100 tinkas to Hz Shah Nizam RZ, who accepted it. A month later, he again presented some amount and Hz Shah Nizam RZ again accepted it. Another month later, he brought amount, but now Hz Shah Nizam RZ refused to take the amount and said: "it looks as if he has fixed monthly income on us and due to this the tawakkal will move from the creator and will be waiting for something from Fateh Khan." One day, Hz Shah Nizam RZ and Hz Bandagi Miyan Malik Maroof RZ were sitting in the mosque (jama'at khana) after the zuhr prayers. During the discussion Hz Miyan Malik Maroof RZ informed about his daughter Bibi Qunza Bua RA becoming of marriageable age upon this Hz Shah Nizam RZ told the Malik RZ, â€œGive your daughter in marriage to Miyan Shah Abdur Rahman RZâ€. The Malik RZ agreed to the proposal. 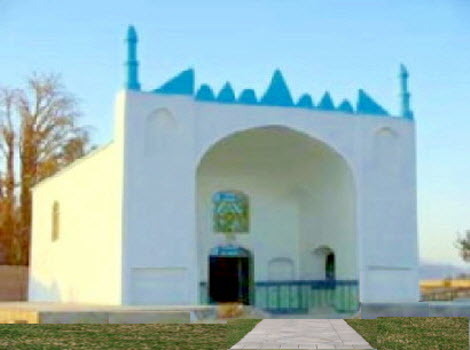 Then the Shah RZ informed Hz Miyan Abdur Rahman RZ, â€œYour marriage will take place tonight after Esha Prayers. Take two tinkas [local coins] from the money in the niche of the hujra [room]. Buy some soap, wash you clothes and those of the bride and bring them back.â€ He did as told. Later in the evening, the nikah ceremony was performed. The Shah RZ and the son went to the house of Hz Malik Maâ€™roof RZ and took the bride, who was of tender age, to their home. The next morning the news of the marriage spread. The Shah RZâ€™s murids including Fateh Khan Baru and Syed Mustafa alias Ghalib Khan brought clothes, food and cash. The Shah RZ distributed everything as sawaiyath among the inmates of the daira. As per some historical recordings, Hz Shah Abdur Rahman RZ was in starvation (faqa) from 5 days before his marriage. The bride was in starvation (faqa) from 3 days before the marriage ceremony. On the next day morning Miyan Abdur Rahman RZ went out to answer the call of nature. While returning, he found some grains of wheat on the way where the carts carrying the corn of wheat had passed. He collected them and brought home. Hz Shah Nizam RZ was sitting in the Jamaâ€™at Khana. The Shah RZ asked the son what it was. He told the details. The Shah RZ said, â€œGo and throw the grains where they were lying.â€ When Miyan Abdur Rahman RZ returned after throwing away the grains, the Shah RZ said, â€œO Miyan Abdur Rahman! In the earlier days, such a thing was allowed for the awlia-Allah. But in the era of Hz Imam Mahdi AS, it is not allowed. That is why I asked you to throw the grains at the place where you had picked them. "Ghulam ban, miyan mat ban." Bandagi Miyan Shah Nizam (RZ) is narrated to have said that he supplicated Allah Most High, "Do not give worldly well-being to the members of his family. â€œRoti de, roti par daamty (ghee) math deâ€ (food enough for survival without delicacies)" Allah Most High accepted the supplication. It is narrated that Hz Bandagi Miyan Shah Nizam RZ did not delivered the bayan of Quran after Hz Bandagi Malik IIlahdad Khalifa Groh RZ left his daira and went to the Daira of Hz Bandagi Miyan RZ. He is narrated to have said, â€œMiyan Dadu was the only man who listened to the bayan of Quran and he has gone to his place. For whom should I now perform the bayan?â€. Bandagi Miyan Shah Nizam (RZ) did not give his sermons on explaining The Quran. Nobody dared to ask him to start his sermons again. One of the brothers politely said, "There was a thing. All the people were benefited by it. Now that thing is hidden. And the people are deprived of it." Hearing this the Shah (RZ) cast his glance at him. The questioner fell down and the Shah (RZ) went away. When he recovered, the brothers asked him, "What happened?" He said, "Our objective is achieved. What I saw is that the Shah (RZ) took me along with him to the worlds of Angels, Omnipotence and Divinity (Malakut, Jabarut and Lahut) and showed them to me." 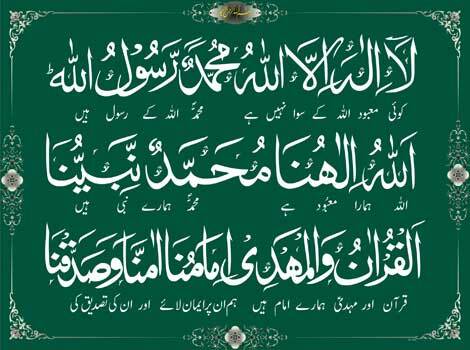 It is narrated that there were 300 Hafiz-e-Quran (Memorizer of Quran) in his Daira and the first 3 / 7 lines (Saf) in prayers use to be occupied with them. In another version, Hz Bandagi Miyan Shah Nizam RZ did not delivered the bayan of Quran for a day after Hz Bandagi Malik IIlahdad Khalifa Groh RZ left his daira and went to the Daira of Hz Bandagi Miyan RZ. He is narrated to have said, â€œMiyan Dadu was the only man who listened to the bayan of Quran and he has gone to his place. For whom should I now perform the bayan?â€. Bandagi Miyan Shah Nizam (RZ) did not give his sermons on explaining The Quran. Then he once again started and said, now I am doing it for Miyan Abdur Rahman RZ. After the demise of Imamuna AS he survived for 30 years and propagated the teachings. On 8 Ziqad 940 Hijri, (22 May 1534 CE) this noble personality passed away in the Mercy of His Lord and was laid to eternal rest in his Daira at Anondra. Bandagi Miyan Shah Abdur Rahman RZ, Bandagi Miyan Shah Abdul Latif RA, Bandagi Miyan Shah Abdur Razaq RA, Bandagi Miyan Shah Nur Muhammad RA, Bandagi Miyan Shah Salih Muhammad RA. 1- Bandagi Miyan Shah Abdur Rahman, 2- Miyan Abdul Qadir, 3- Miyan Abdul Latif, 4- Miyan Abdul Razzaq, 5- Miyan Sher Muhammad and 6- Miyan Abdul Fatah (eldest Son-in-Law of Imamuna AS). Bandagi Miyan Shah Nizam (RZ) was sitting near water (on the bank of a river). The chicks of peacock came to drink water. The Shah (RZ) asked (his son) Miyan Shah Abdur Rahman (RZ) if he could recognize which of them were the male ones and which the female ones. Miyan Abdur Rahman (RZ) said he did not know. The Shah (RZ) said the one that comes out of the water without turning round is the male and the one that turns round and comes out is the female. The male are those chicks that do not allow their tails to become wet in the water. The female chicks allow their tail to become wet in the water. He said, Similarly, the slaves of Allah came into the world and returned without involving themselves in sins. They died with their faith (iman) safe and perfect. The others came into the world, involved themselves into sins and died faithless (be-iman). Prophet Muhammad (SLM) has said, "Faqiri (indigence) will soon become kufr (infidelity). Faqiri blackens the face in both worlds. A faqir is not muhtaj (in need of anything) of his own zath (nature, essence) or of his Rab (Lord). When his faqr (indigence) and faqa (starvation) became perfect, he became Allah (that is, he fully perished himself in Allah)." **This article is dedicated to a respected elder of the community, the late â€œHz Shah Nizam Nizami Sahab RAâ€ of Channapatna, Karnataka. He is Grand father of Janab Shah Alam Nizami Sahab of Dammam. The late personality was very well-known among the Channapatna and Bangalore based Mahdavia community due to his sincerity towards practicing religion. Today his Grand children are also trying and doing their best in their own way.